In sub-rule(2) of rule (1), after the words "Agriculture (including Veterinary)" the word 'Forestry' shall be inserted. 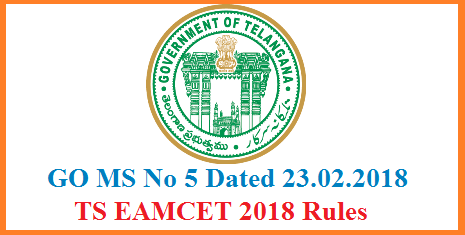 Note: Irrespective of the subjects taken at the qualifying examination, candidate seeking admission to the B.Sc (Forestry) course should appear for Biology, Physics and Chemistry in EAMCET. The candidate should have completed 17 years of age as on 31st December of the year of admission and the upper age limit is 22 years for General and BC candidates and 25 years in respect of Scheduled Caste and Scheduled Tribe candidates as on 31st December of the year of Admissions. Candidates should obtain at least 45% of marks (40% in case of candidates belonging to SC/ST category) in the subjects specified taken together at 10+2 / Intermediate.